Update, September 13, 2018: A couple weeks ago, Nordstrom started stocking one of the brands Meghan Markle made famous: Strathberry. Predictably, the bags sold out almost immediately, but now Nordstrom has restocked the pretty accessories for your shopping pleasure. What are you waiting for? Get clicking. Originally published on August 27, 2018: We have some good news and some bad news. Meghan Markle's go-to bag brand, Strathberry, just became more accessible than ever by launching at Nordstrom. The only downside: In predictable Markle fashion, all of the bags immediately sold out on Nordstrom's website. But we choose to look at it with a glass-half-full mentality and are crossing our fingers for a restock soon. While the Edinburgh-based brand was first founded in 2013, the Duchess of Sussex certainly took it to the next level, causing its bags to sell out like lightning. She's worn the label on three different occasions, including her first major event after the engagement news. 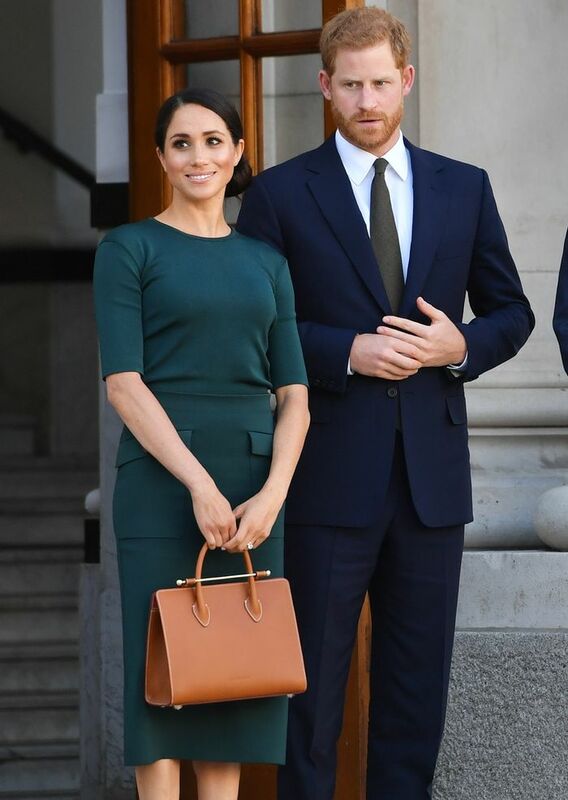 Scroll down to see how Markle has styled her Strathberry bags and which bags sold out at Nordstrom.